You've Heard of a Prenuptial Agreement-What's a Postnuptial Agreement? Divorce attorneys in West Palm Beach agree that prenuptial agreements have been around and been used before marriages for more than 30 years. For couples who have one or more of the partners with extensive wealth before the marriage or who own a business, a prenuptial can provide important financial structure in the event that a marriage ends in divorce. 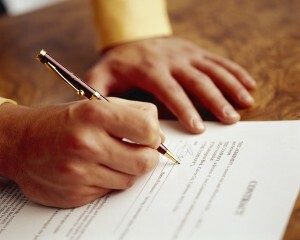 A postnuptial agreement is a contract written after the marriage vows are spoken. They typically deal with every-day issues in the relationship, most commonly dealing with financial wrestling between the couple. Still, some may wonder why there is a need for such agreements. Isn’t marriage the place to learn, together, how to make decisions about family time, finances and more? Sure, but some couples benefit from the structure that a postnuptial agreement provides. If you are married or engaged, there are many ways to decide about finances and other serious issues. Some form of contractual agreement may assist in reducing the stress involved in a crisis or daily decisions. Consulting a qualified attorney is the best way to find out if a prenuptial or postnuptial agreement is right for you.